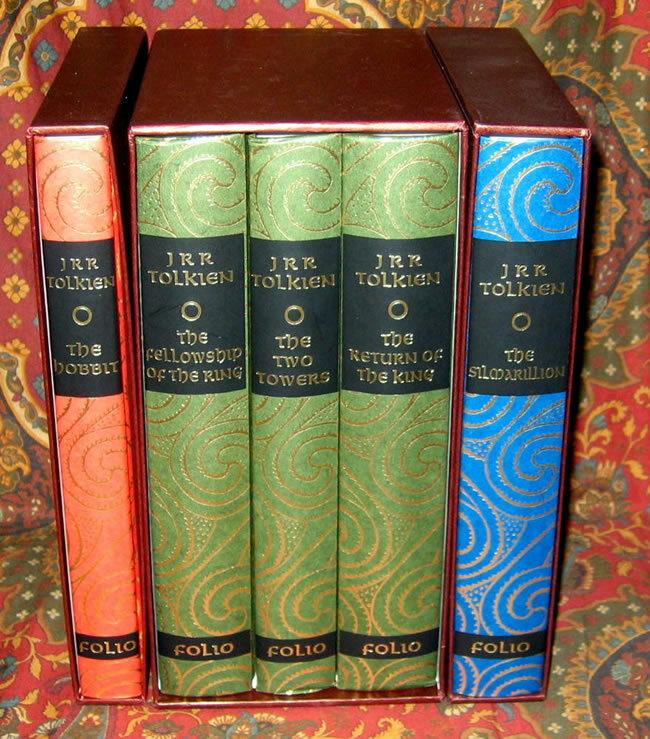 #000489 - The Hobbit, The Lord of the Rings, and The Silmarillion - 1997 1st Thus Folio Society - A complete set of the major works of J.R.R. 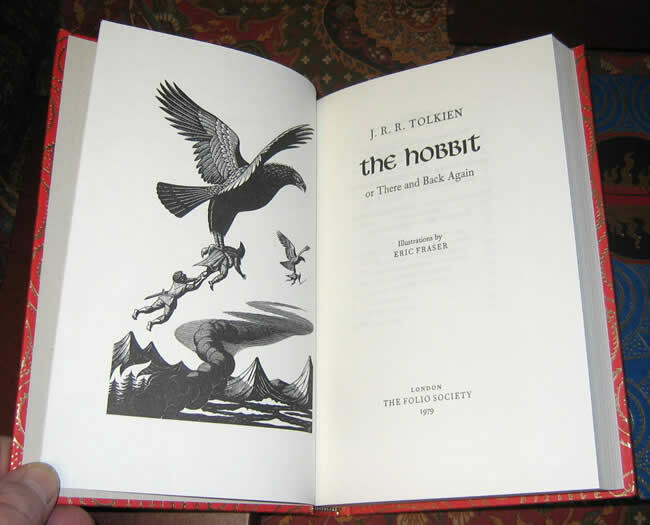 Tolkien in near fine condition. 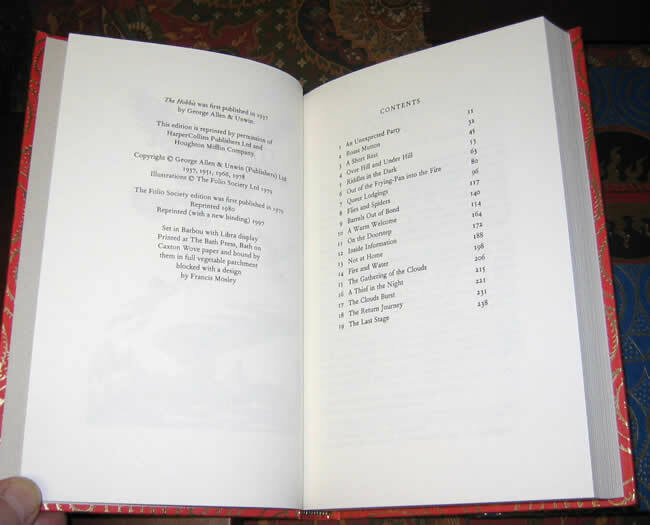 A complete set of the major works of J.R.R. 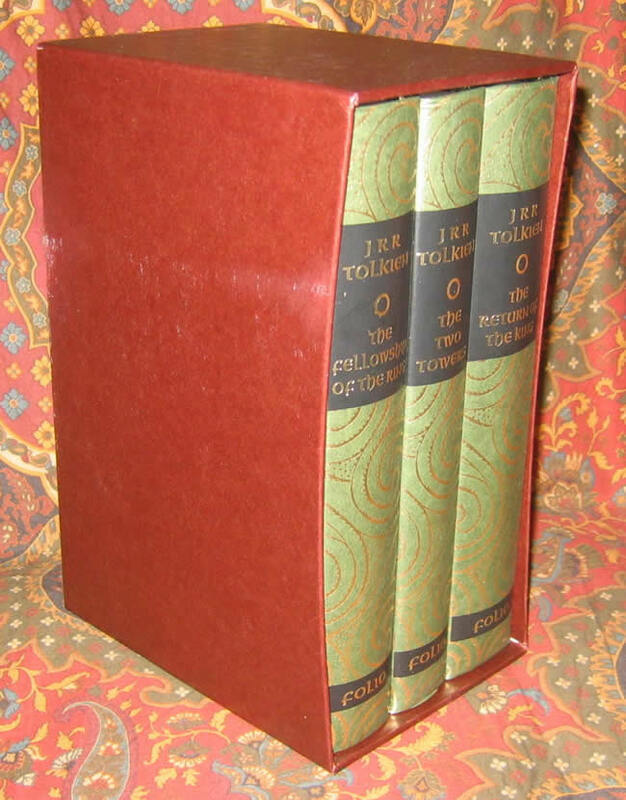 Tolkien in near fine condition. 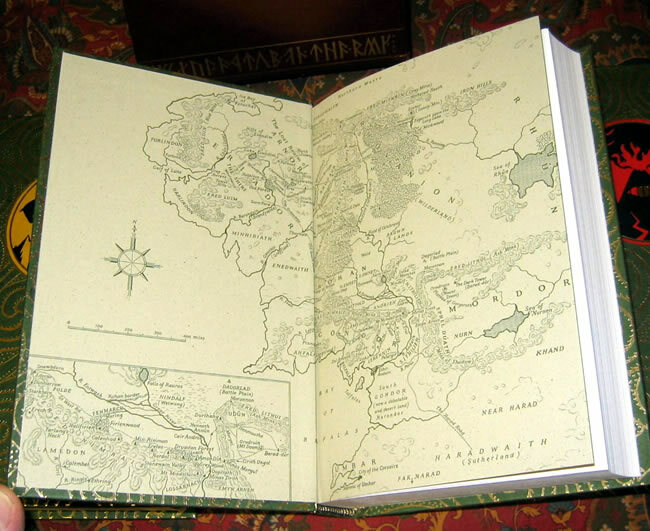 The Hobbit, The Lord of the Rings, and The Silmarillion, by J.R.R. Tolkien. Illustrated by Ingahild Grathmer and drawn by Eric Fraser, and Francis Mosley. 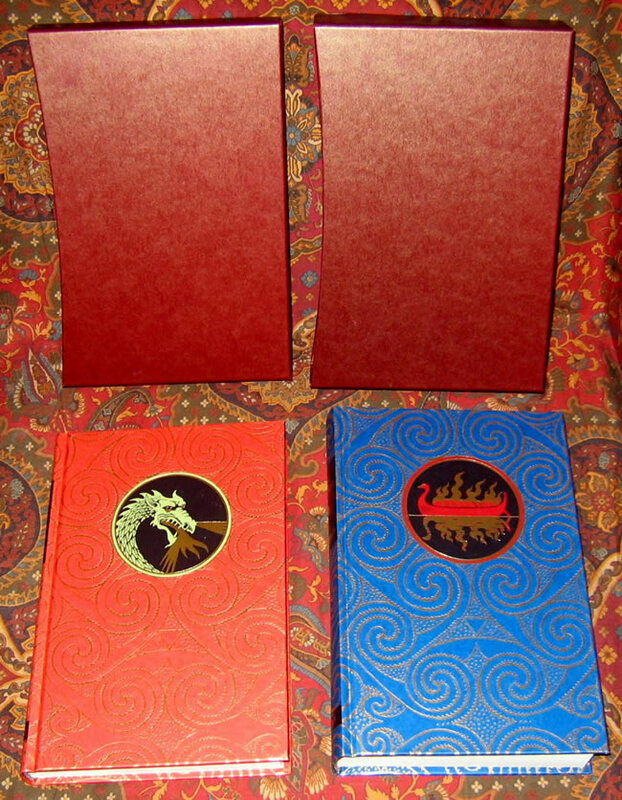 A complete set of the major works of J.R.R. Tolkien. 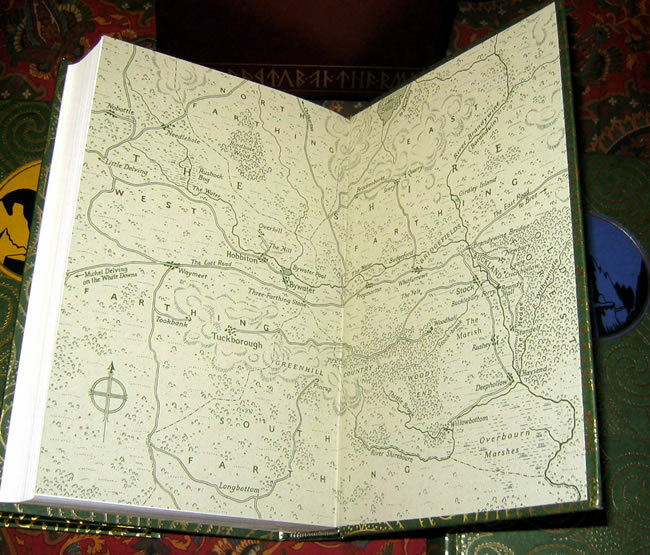 Published by the Folio Society in 1997, a wonderful matched set (1st Thus) made of high quality acid free paper, and bound in full vegetable parchment to create a beautiful set of Tolkien's primary works. 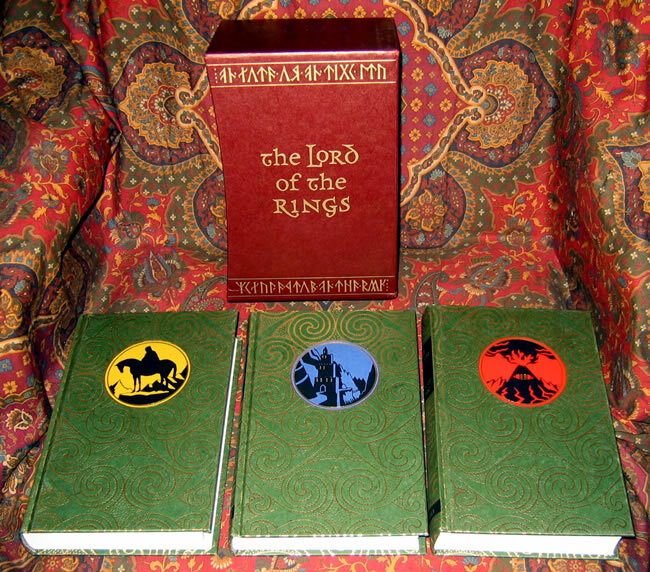 No writing, no marks, no faults other than one minor paint mark to side of the Lord of the Rings slipcase.